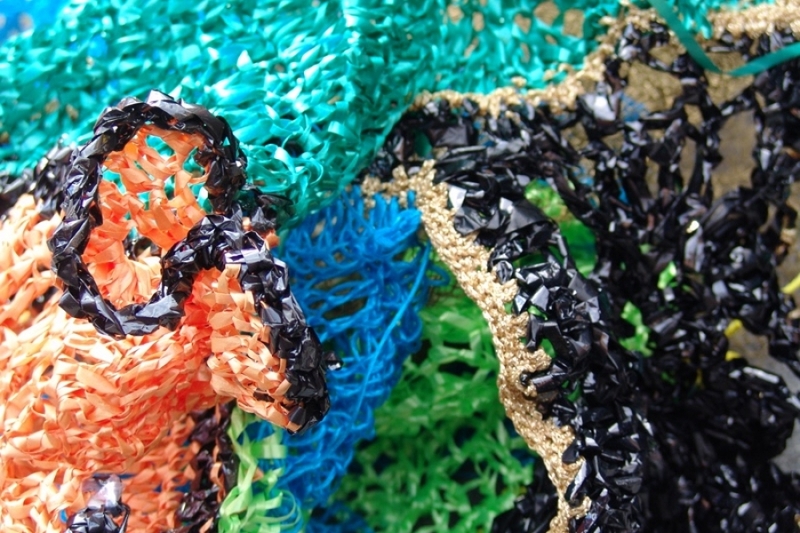 Anarchic Crochet is about freedom in the handling materials and ideas. 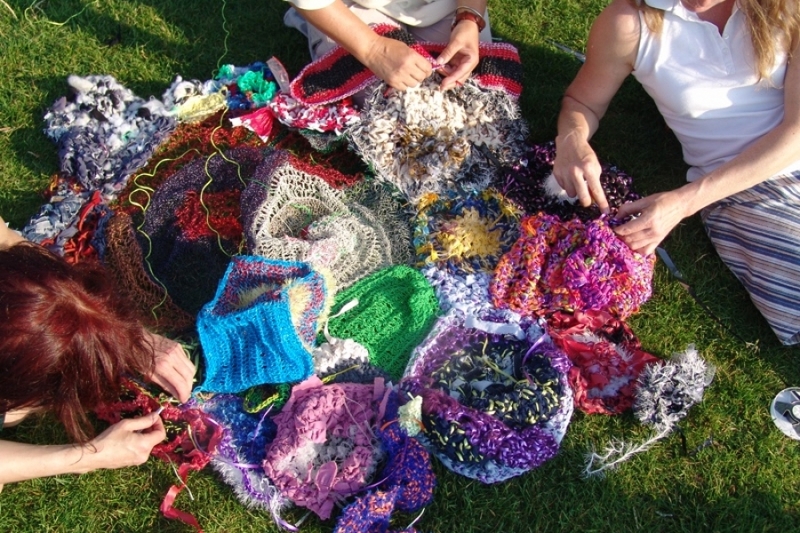 And every time the circle forms, there is metamorphosis. 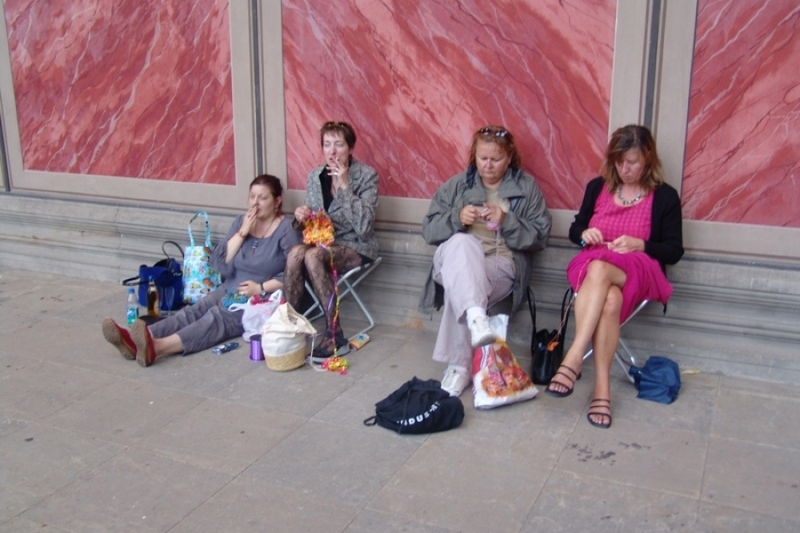 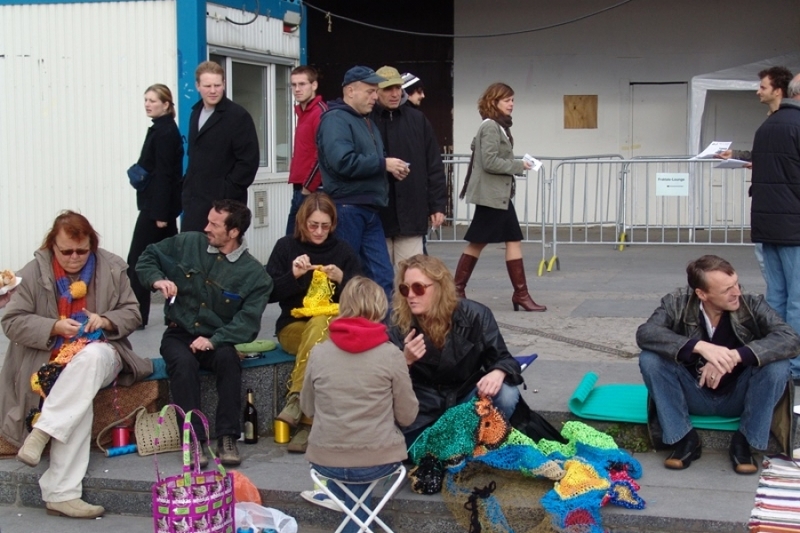 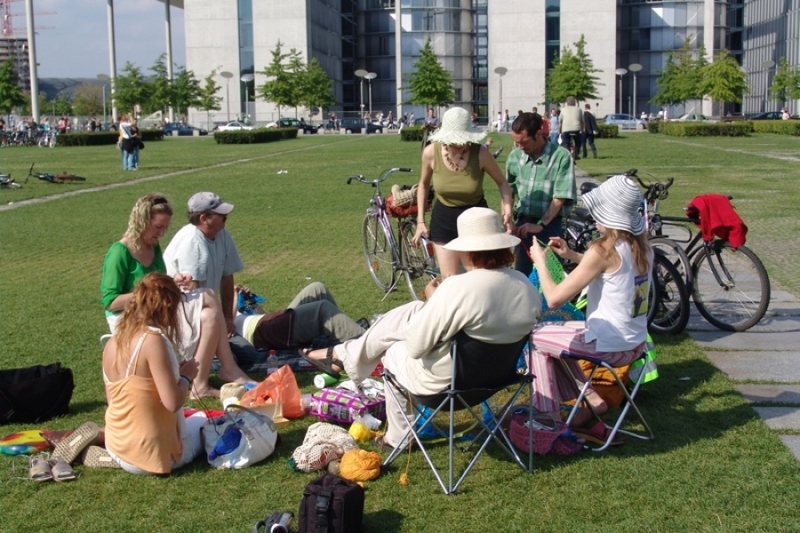 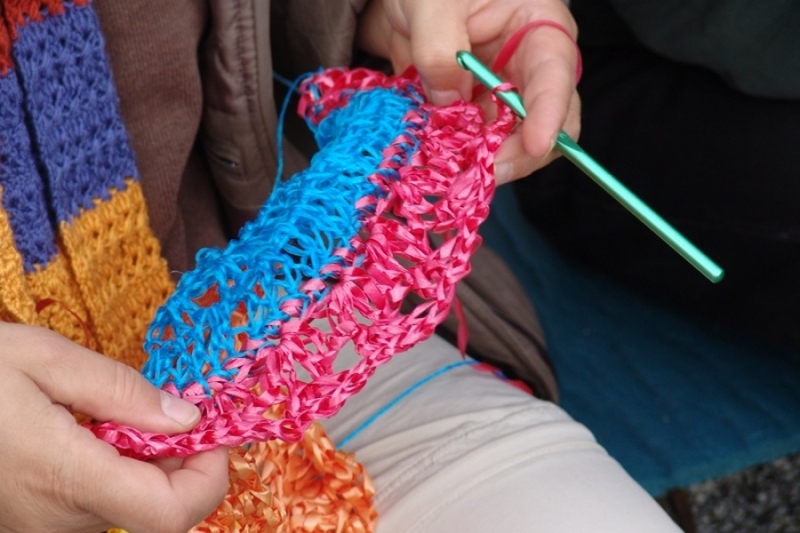 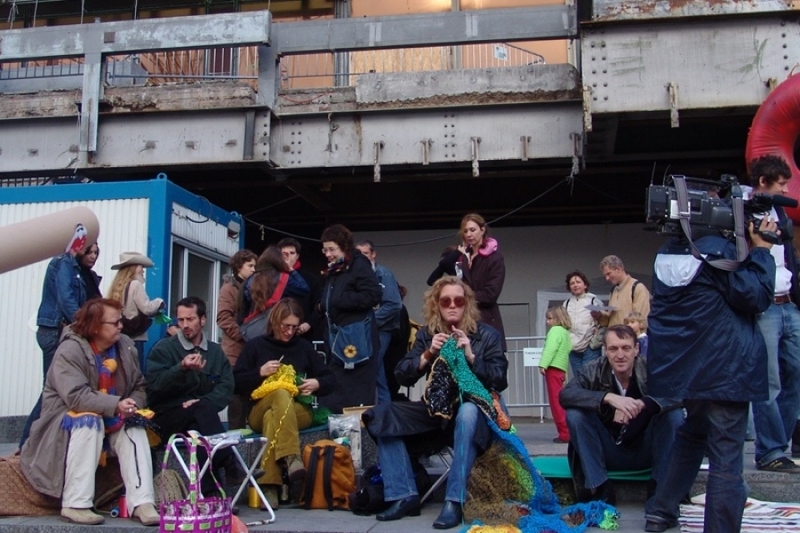 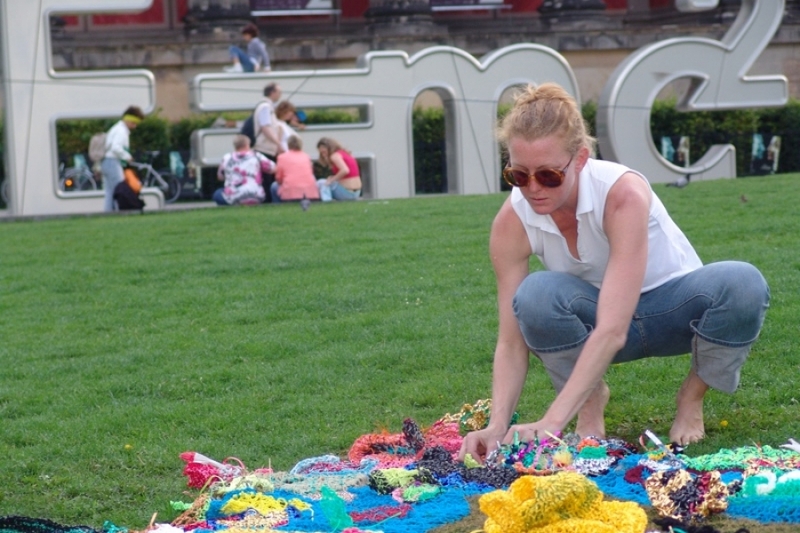 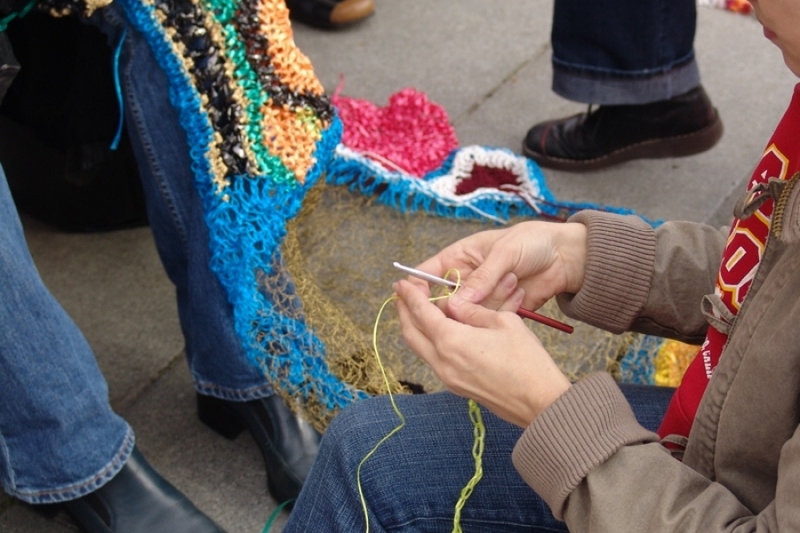 What might happen if people met and crocheted in public spaces charged with history , armed simply with crochetable materials, crochet hooks and brownies, and welcomed every contribution whether in word or in deed? 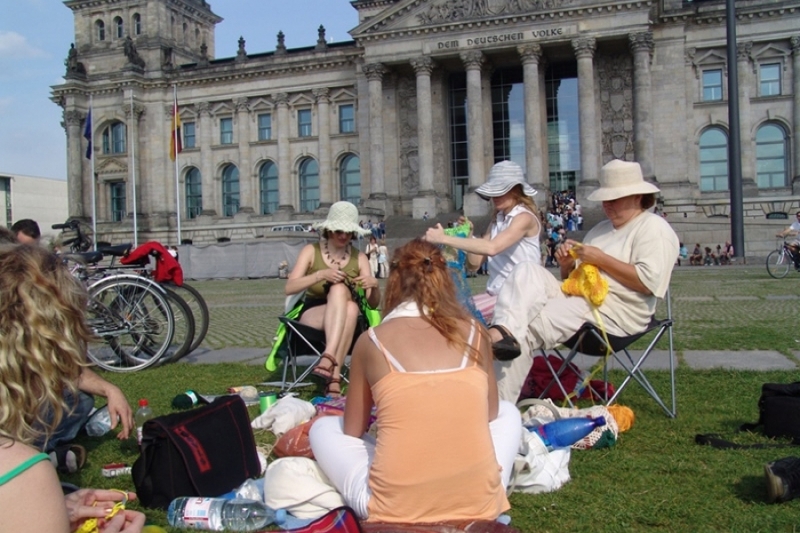 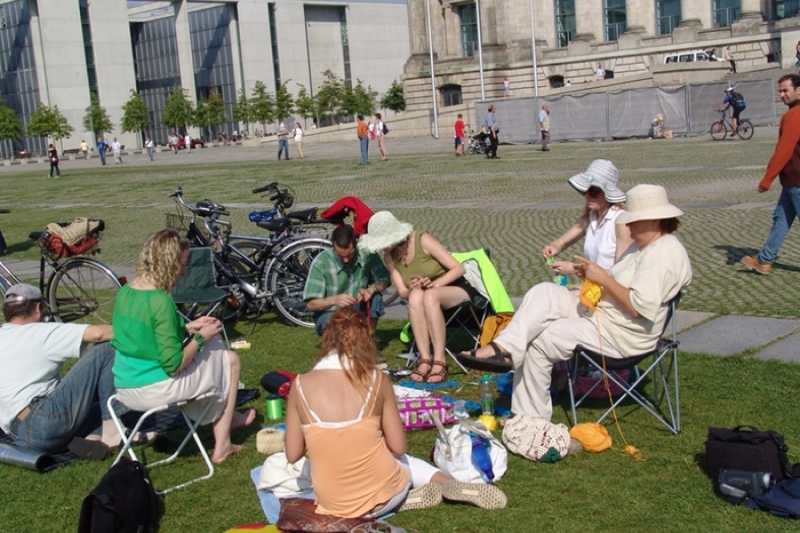 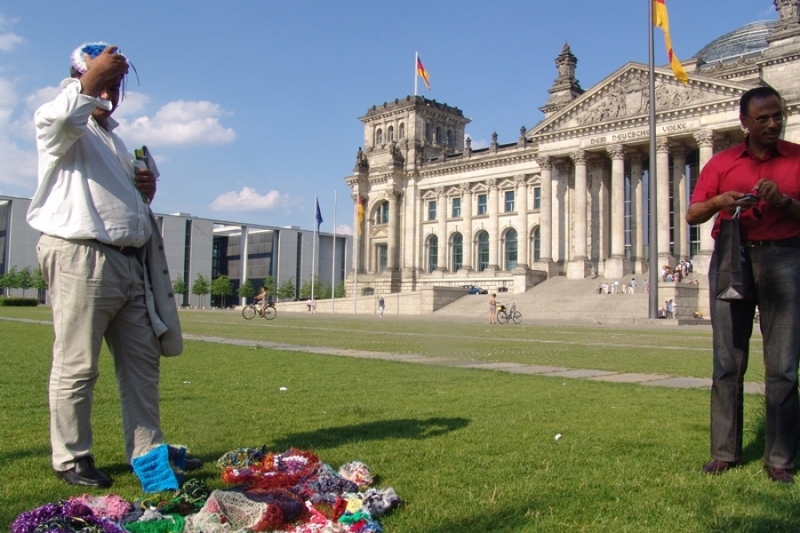 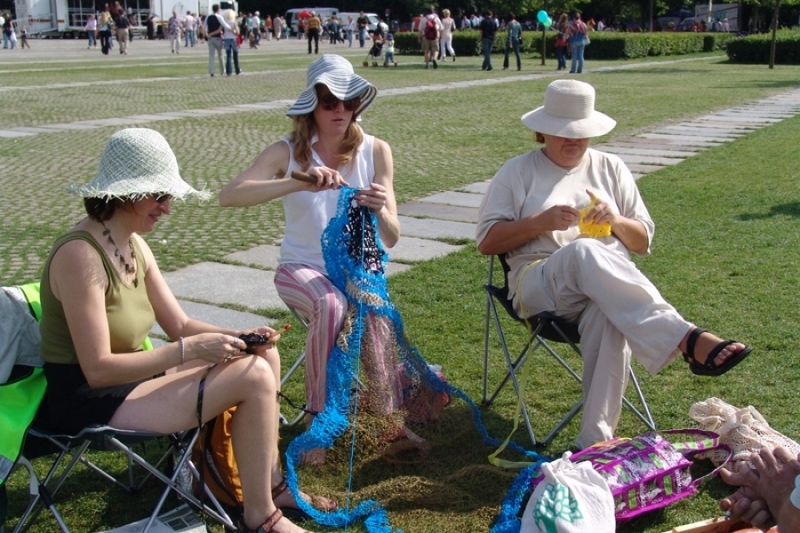 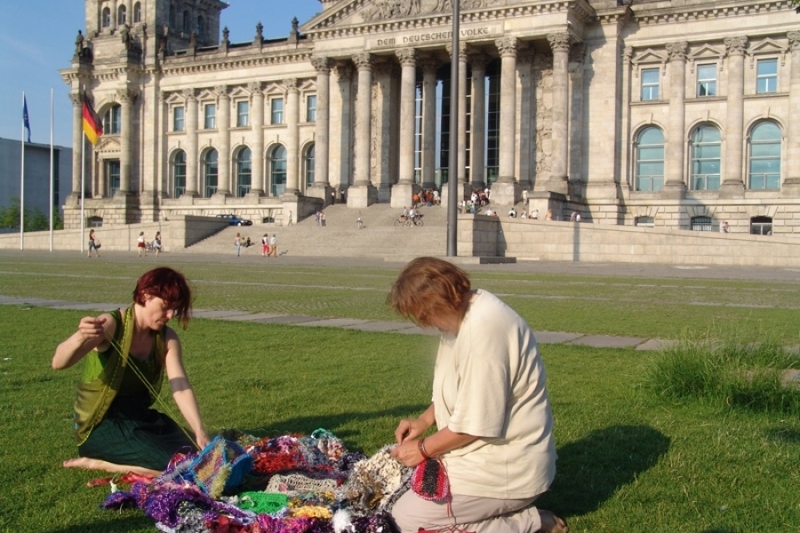 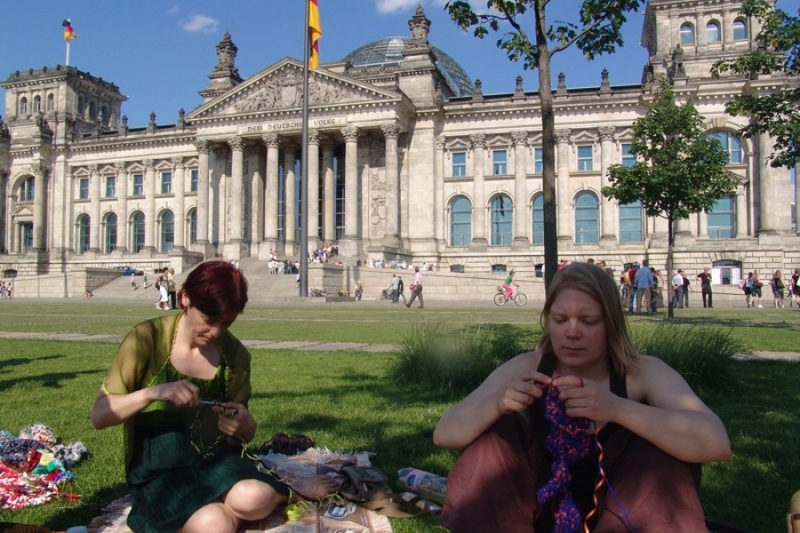 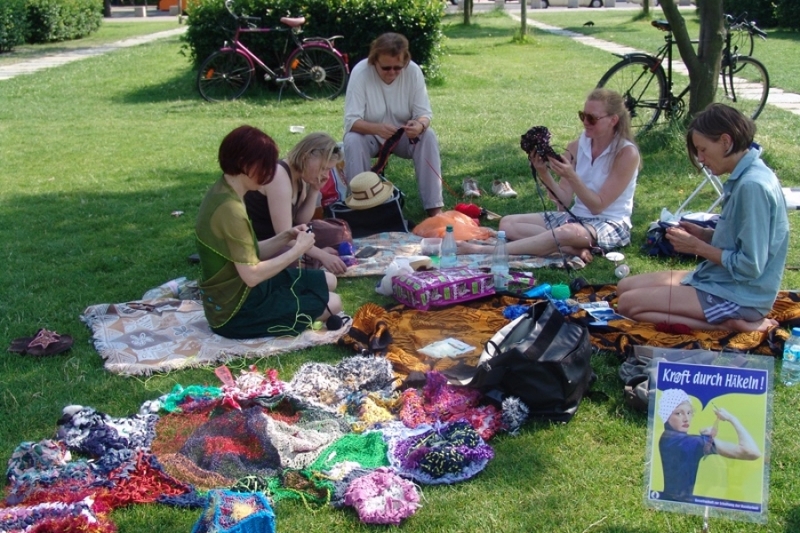 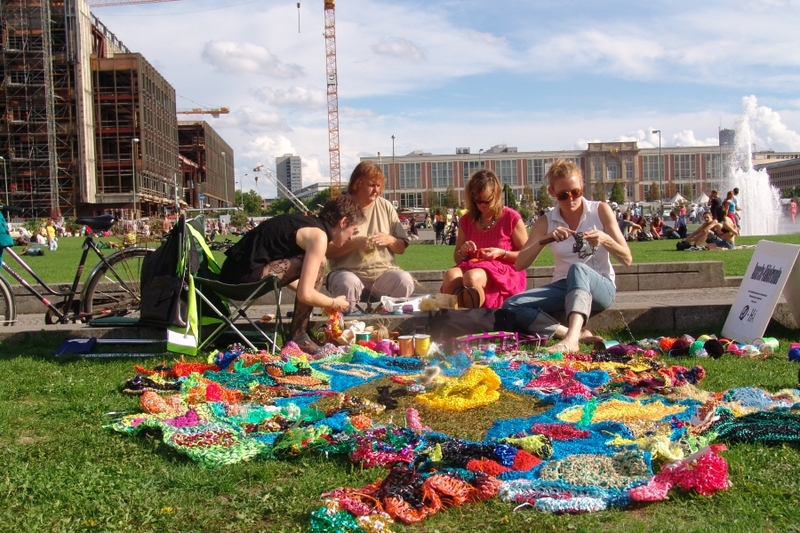 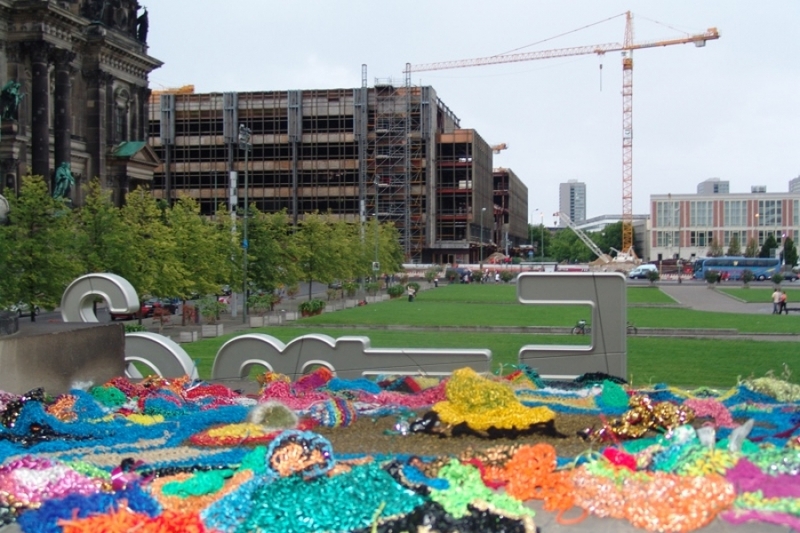 Further crochet circles have taken place in Berlin on the S-Bahn-Ring, the Soviet War Memorial in Treptower Park, a polling station in Neukölln, and within the framework of various exhibitions. 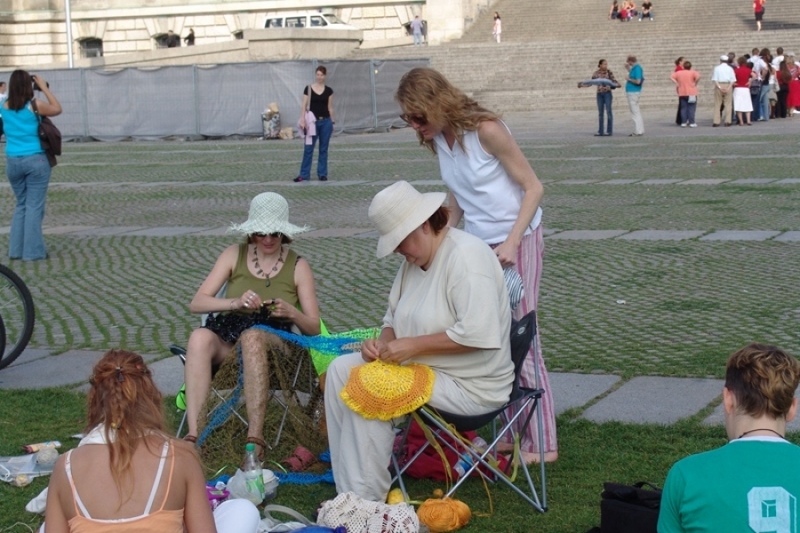 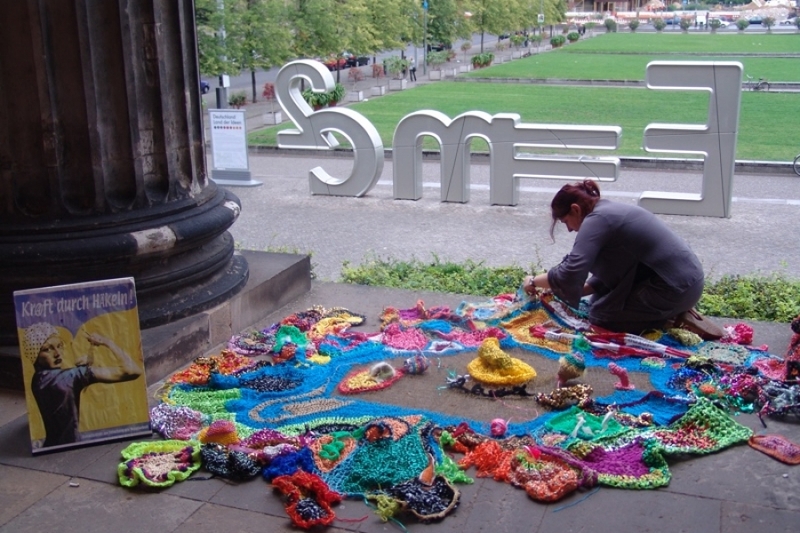 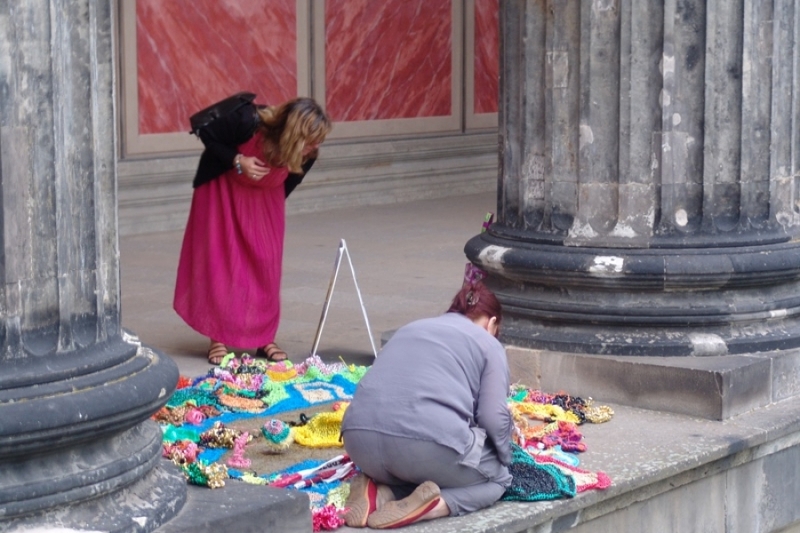 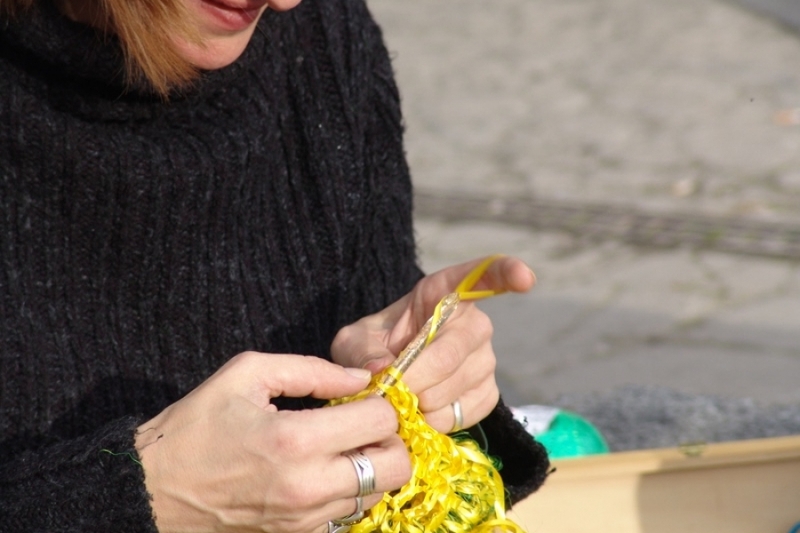 The early crochet circles also led to the realization of the projects Dressing Matka Polka and A Dress Full of Color and Joy for the Trümmerfrauen-Denkmal.